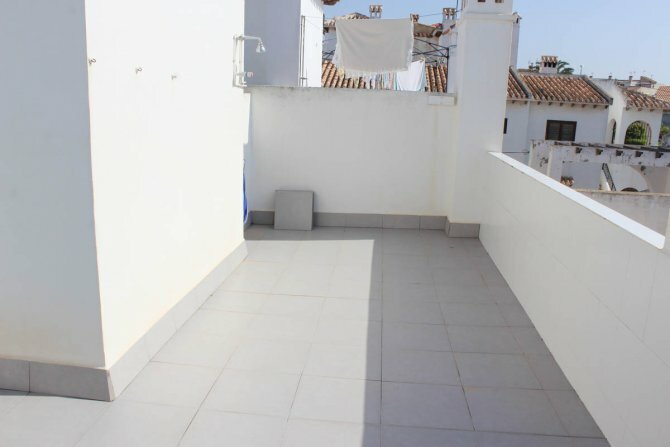 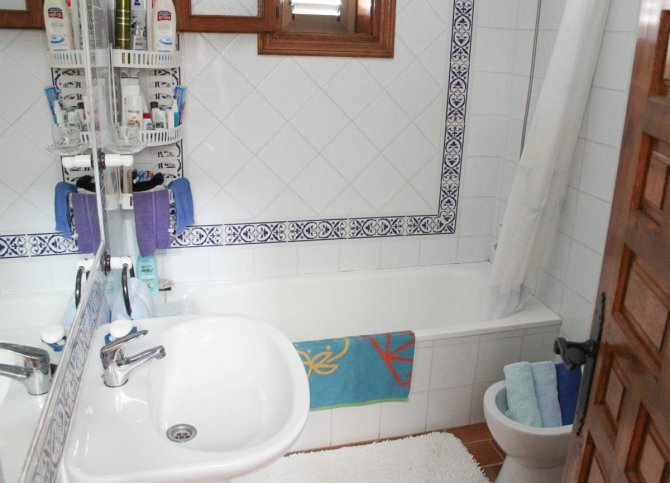 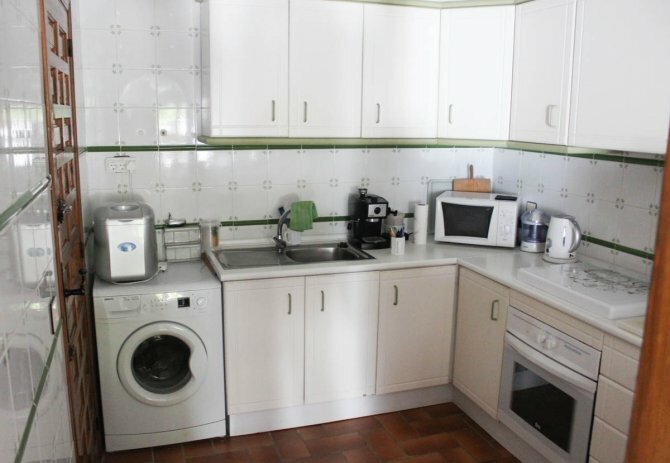 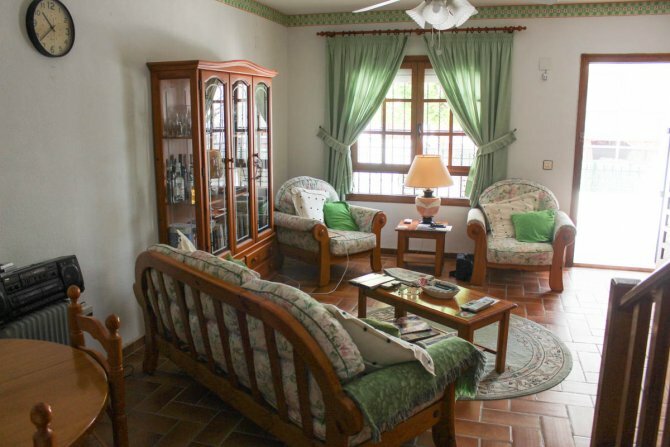 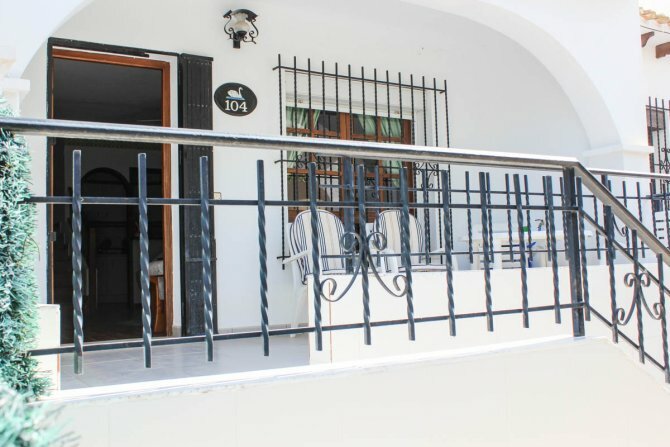 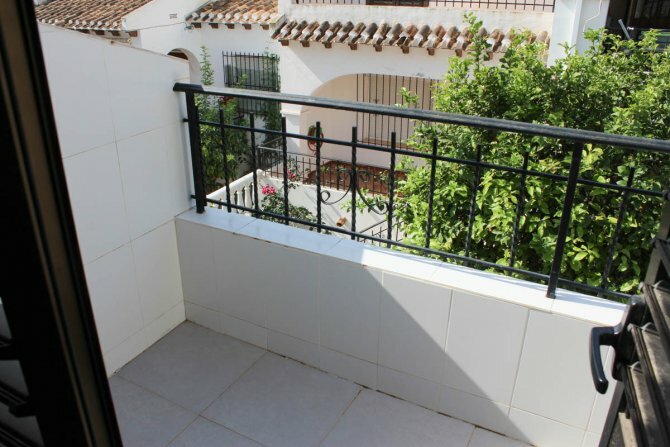 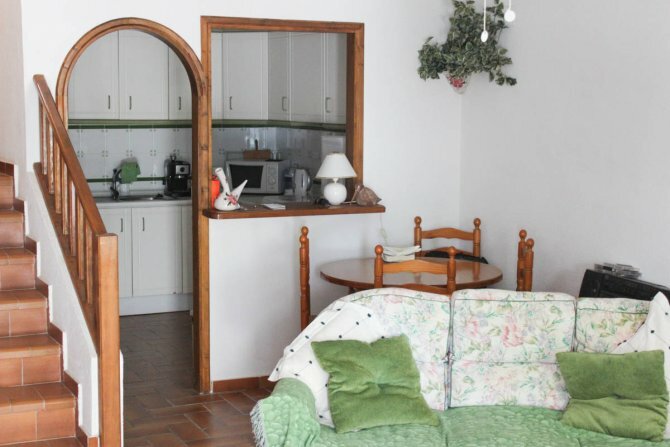 We are pleased to offer this charming, traditional Spanish style 2 bedroom 1.5 bathroom fully furnished property . 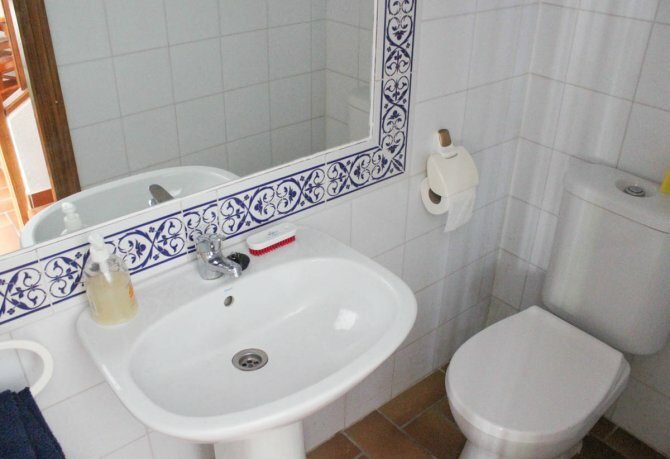 It has been maintained to a high standard by its one and only owner since new. 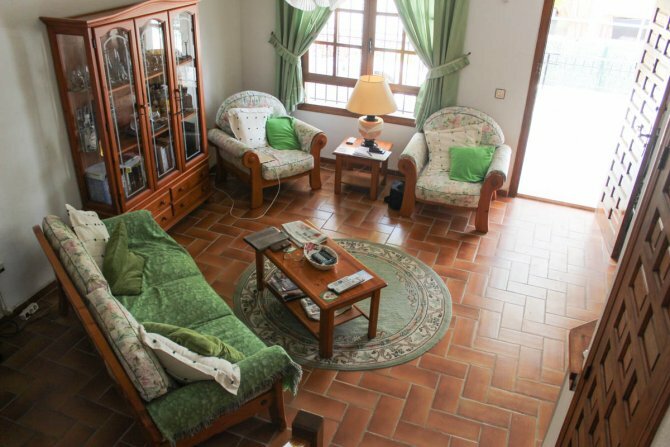 On the ground floor there is a lovely lounge with a corner fireplace and dining area, an American style kitchen, utility room and toilet. 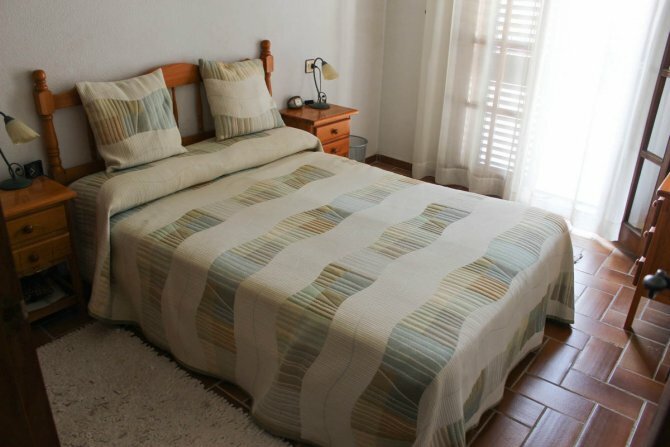 On the first floor there are two double/twin bedrooms both with fitted wardrobes and a family bathroom. 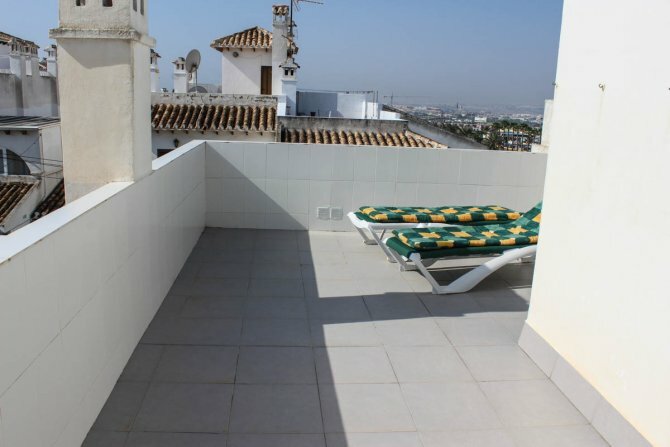 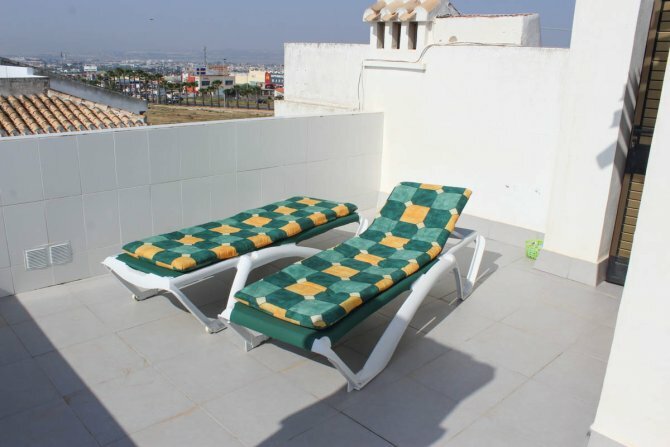 On the top floor you will find a rooftop solarium with views over the town and all day sunshine. 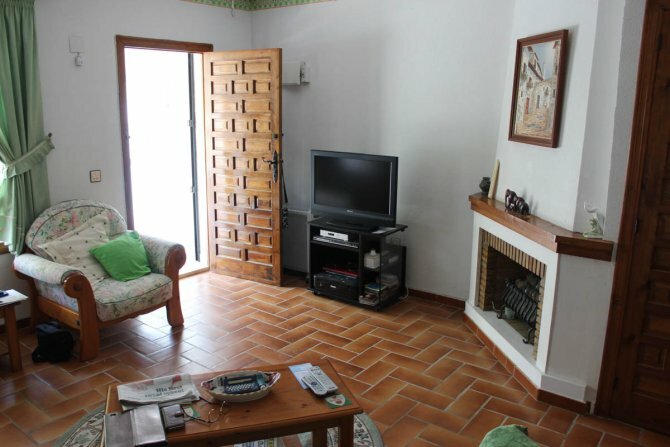 This beautiful townhouse is located on the outskirts of Torrevieja on a small established community with a lovely communal pool which is surrounded by mature gardens.The property would be an ideal holiday home or permanent residence and you would not need a car, as there are supermarkets, bars, restaurants and many other amenities all within walking distance. 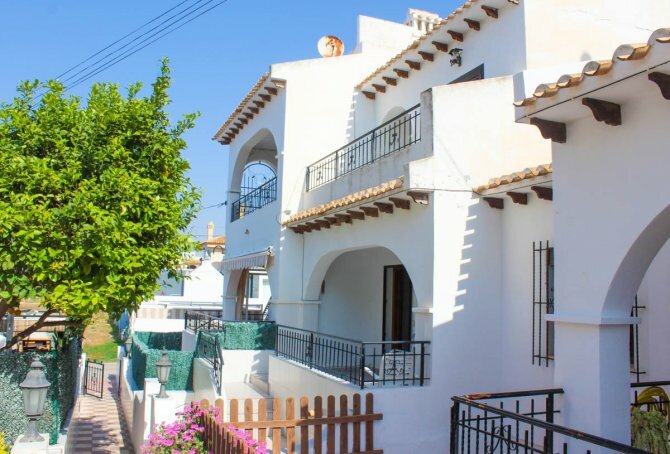 There is a regular local bus which takes you to Torrevieja town and La Mata, also the Alicante bus passes nearly every hour throughout the day. 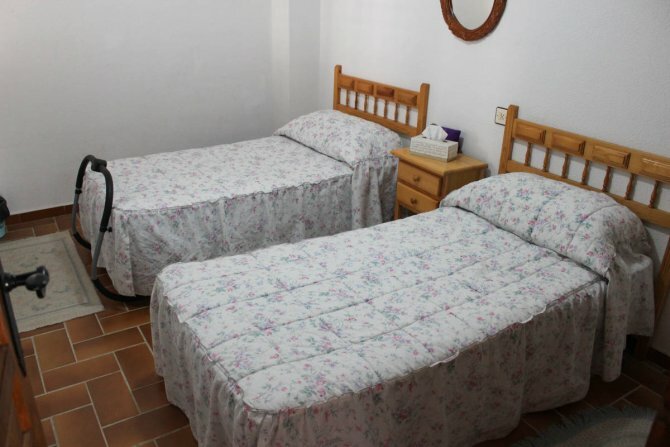 From Torrevieja there are regular buses to Alicante Airport. 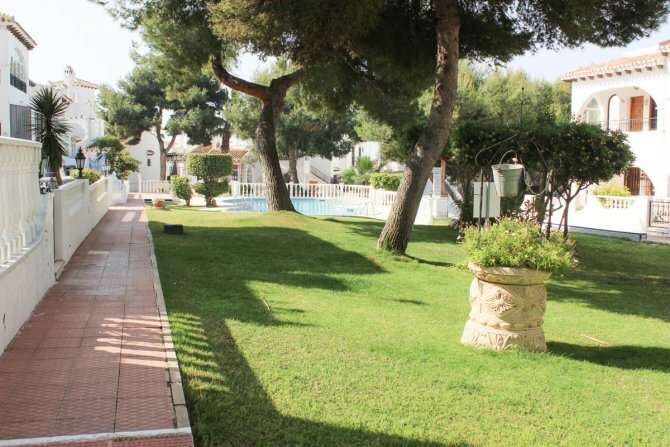 You have a good choice of beaches just a short drive away as well as the Friday market and Torrevieja Aquapark.